Today, we are ending the reign of junk food in our kiddos’ diet! Making healthy snacks for kids is both possible and easy, all it takes is a bit of preparation and a dose of inspiration. After a day full of activities at home or at school, our busy kids grab the nearest (and most colorful) snack to recharge their batteries. 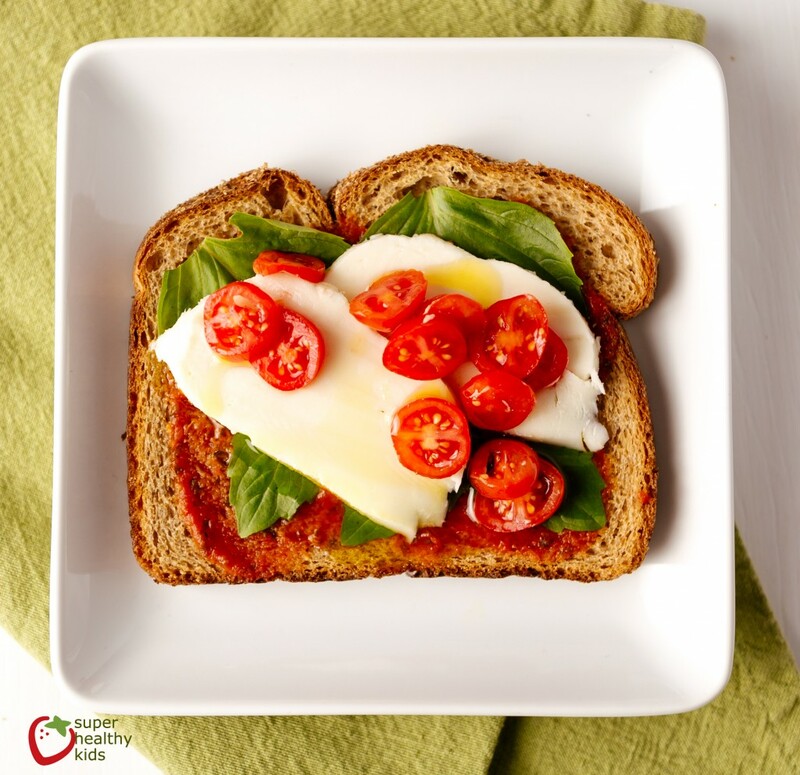 Parents might not have enough time or energy to cook a full-fledged meal like those of our favorite food bloggers or whip up an American style pizza every day, however, making easy healthy snacks for kids remains very manageable if they have the right recipes at hand! Fruits on sticks are one of the easiest (and yummiest) snacks! 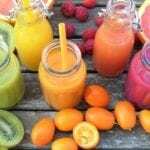 You will be spoiled for choice: Any fruit you have available in your fridge or in the supermarket will do the trick. You only need to figure out what you would like to add to your fruit skewers. If you have some two minutes to spare, you can follow Eats Amazing’s recipe and dip them in desiccated coconut, dark chocolate or coconut yogurt. The key step in this recipe is to freeze the fruits beforehand, it will make them easier to slide onto the skewers or sticks without squashing them! For a more colorful version, you can also try the rainbow fruit skewers, with each containing, respectively, raspberries, strawberries, tangerines segments, mango cubes, pineapples chunks, kiwi chunks, green grapes, red grapes and blueberries. 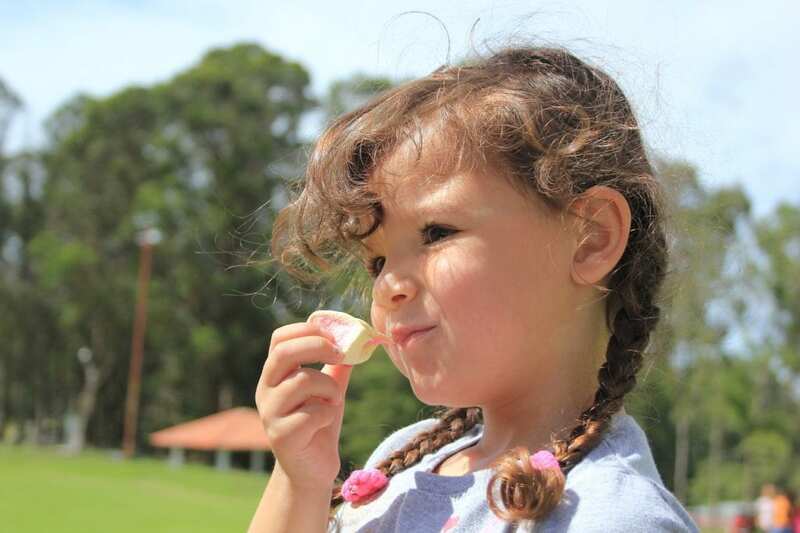 The ultimate fruity healthy snacks for kids! Read the wholeEatsAmazing recipe here. An apple, a bowl of cream cheese and a handful of sprinkles can take you a long way! If your kids often stay in awe in front of the colorful candies from TV ads, then this cheerful snack from Hello Wonderful would be perfect for them! 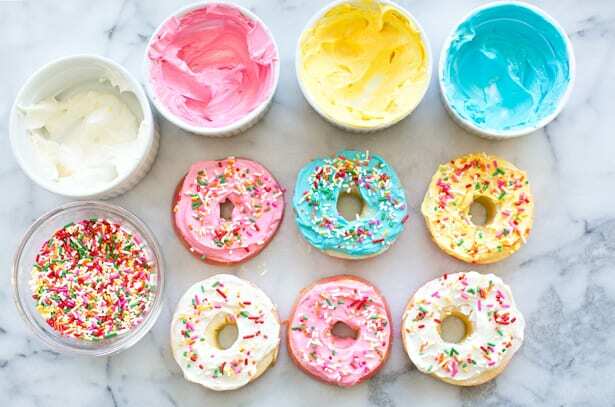 You will enjoy making these apple donuts and topping them with your child’s favorite colors by adding a drop of food coloring into the cream cheese. After spreading the cream cheese on the apple slice, be creative and sprinkle it with different ingredients: raisins, crushed cashews or almonds, honey, shaved chocolate – the apple is your canvas! Read the original Hello Wonderful recipe here. 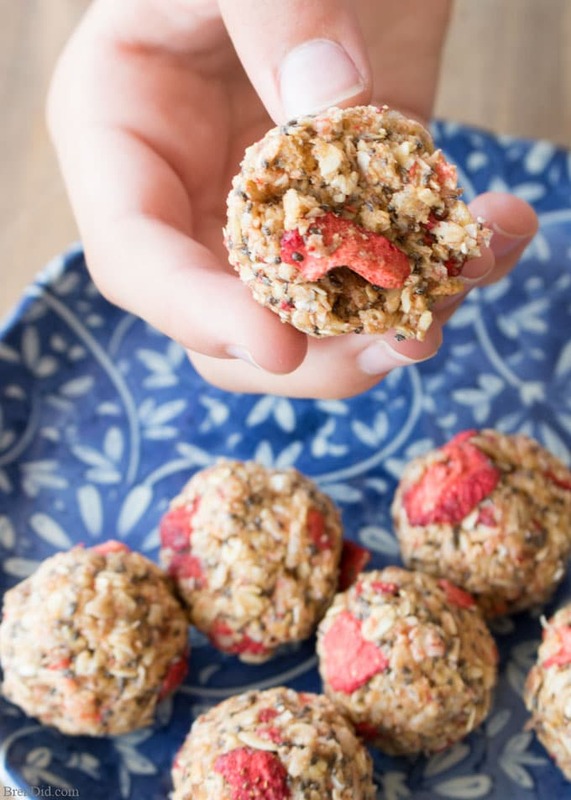 If your kids like the crunchy texture of granola bars and cookies, this strawberry energy ball will have them drooling! This no-bake healthy snack by BrenDid is composed of whole rolled oats, crispy rice cereal, unsweetened shredded coconut, chia seeds, ground flax seed, natural peanut butter, virgin coconut oil, honey and freeze-dried strawberries. All it takes to transform these ingredients into a delicious treat is 10 minutes of preparation! Source: Read the wholeBrenDid recipe here. 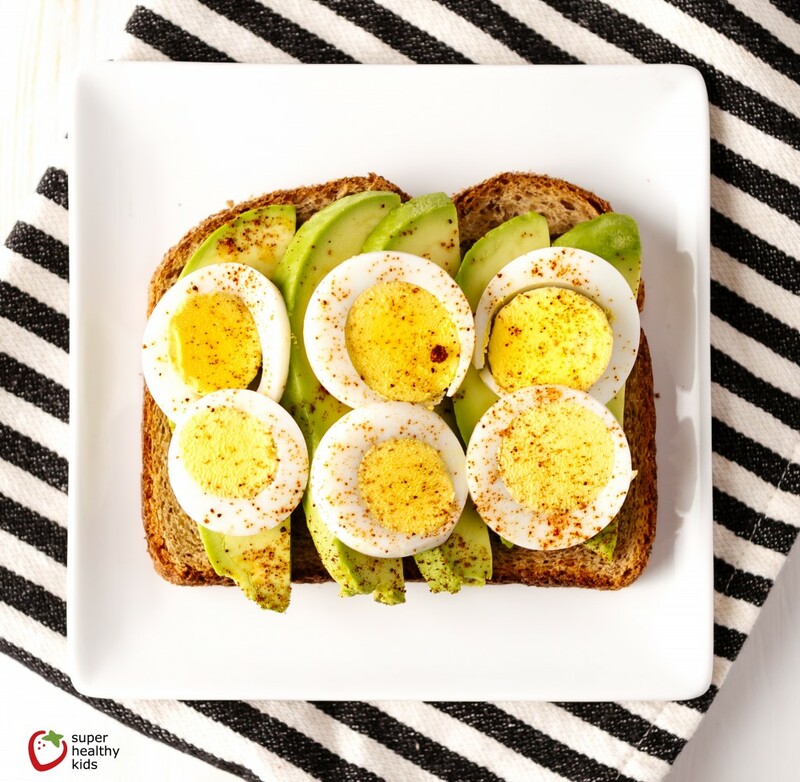 With these savory recipes, your kids might wanna join you for your avocado toast brunch very soon! And what’s not to love about these tummy-filling, easy-to-make snacks? They’re so versatile! Super Healthy Kids enjoyed creating various toast recipes, both sweet and salty. Most of them only require three or four ingredients to make, meaning you can surprise your little ones with a different recipe every day! 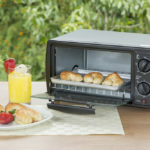 And don’t forget to check out our reviews for the best toaster oven to make sure you have the right tools for the job. 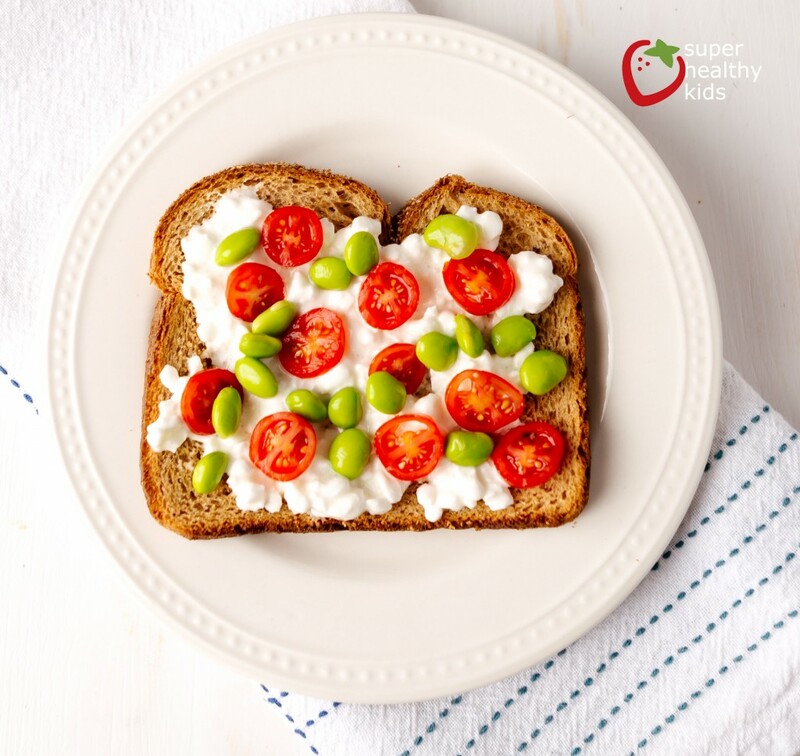 Our three favorites are the Fresh tomatoes and mozzarella cheese toast (picture 1), the Hard boiled egg and avocado slices toast (picture 2), and the Cottage cheese, edamame and cherry tomatoes (picture 3). The recipe titles are very convenient, they mention all the ingredients needed to make the toasts. Sweet! 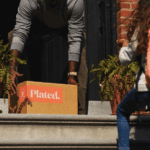 Can healthy snacks for kids get any easier? Maybe … Read more to discover our last two recipes! 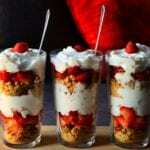 Read the Super Healthy Kids recipes here. A frozen treat to cool down the kids on those hot summer afternoons would be very welcome! If you want to offer a healthier alternative of ice cream to your kids, Gemma has the perfect recipe: frozen yogurt barks! As usual, she got creative in her cooking and created three barks with different flavors: a raspberry and pistachio bark, a chocolate banana and hazelnut bar, and a peanut butter and jelly bar. This no-bake recipe takes only a few minutes to prepare, and the most important thing to remember is the process, apart from Greek yogurt, all other ingredients are easily customizable! Follow Gemma’s Bold Bigger Baking on her website. 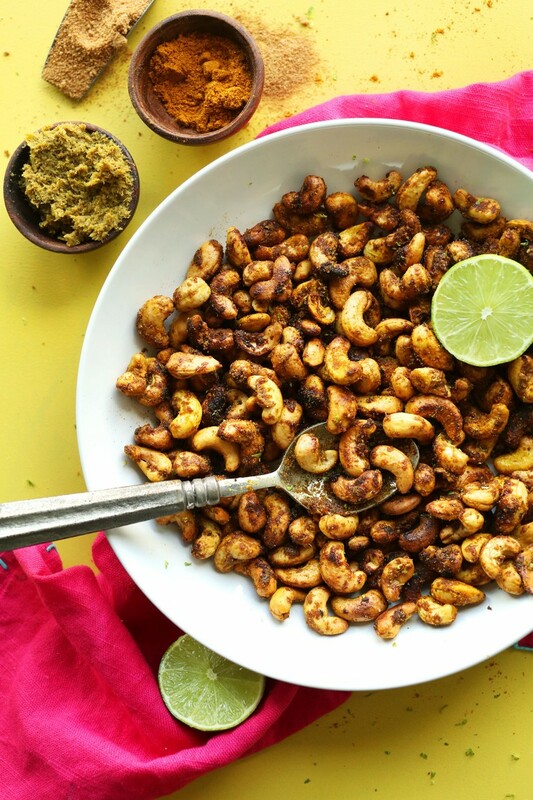 If your kid has more developed taste buds or is always eager to try new flavors, then these curry spiced cashews by Minimalist Baker might become their favorite snack! This gluten-free, Indian- and Thai-inspired treat is savory, spicy and crunchy. It could also be their introduction to international cuisine! This recipe is truly one-of-a-kind, and the ingredients are a little bit unexpected. Besides cashews, you will need olive oil, maple syrup, green curry paste, coconut sugar, cumin, ginger, turmeric and more. Yummy! 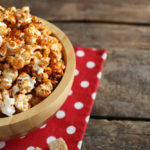 We can also imagine applying this recipe to popcorn on movie night! Get your kids involved and mix up all their routines in a fun way to convert them to healthy eating one meal at a time! 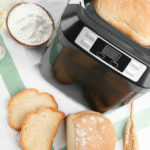 Read the Minimalist Baker recipe here. These recipes are so good that you will probably want to save some for yourself! Which one is actually your favorite? 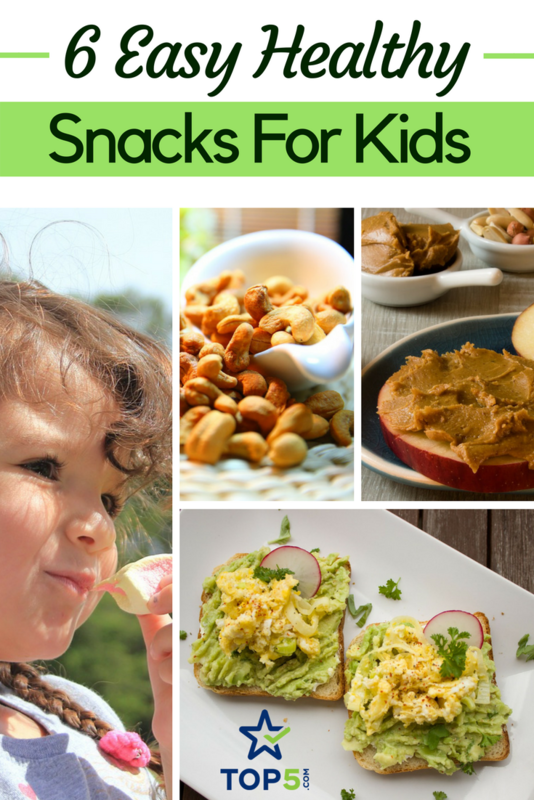 What healthy snacks for kids do you usually cook? 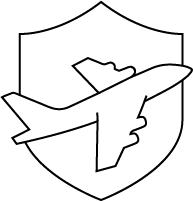 Let us know in the comments and share the article with your friends to inspire them!